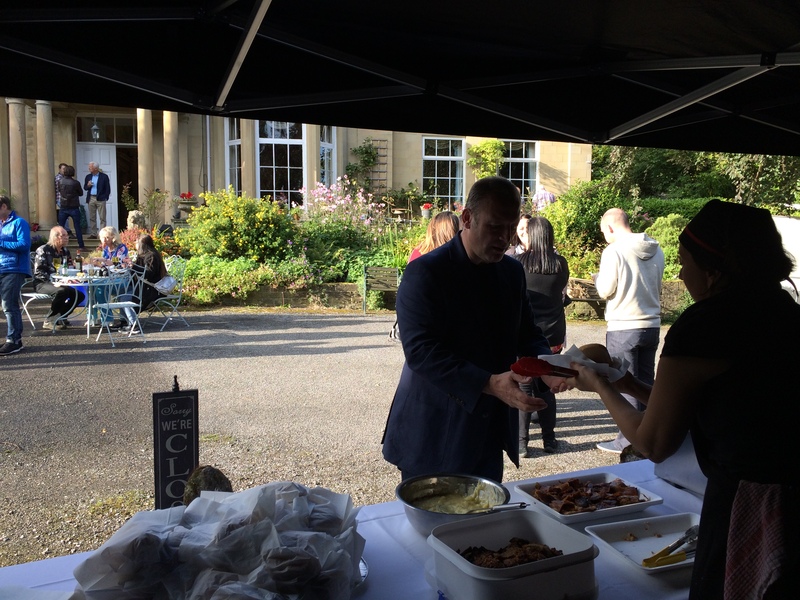 Hog Roast at Ilkley Rugby club where we provided an outside catering package of tasty hog roast sandwiches and canapes. 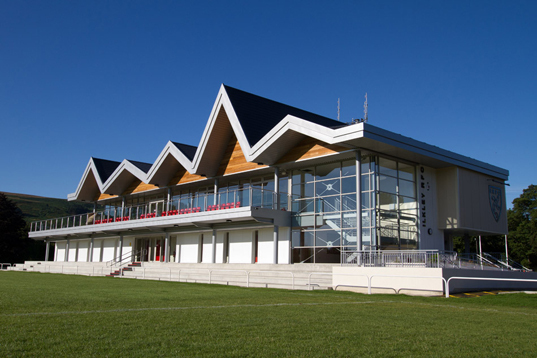 The venue at Ilkley rugby club where we provided the hog roast is fantastic, great club and great people combined with delicious food made for a fantastic evening. 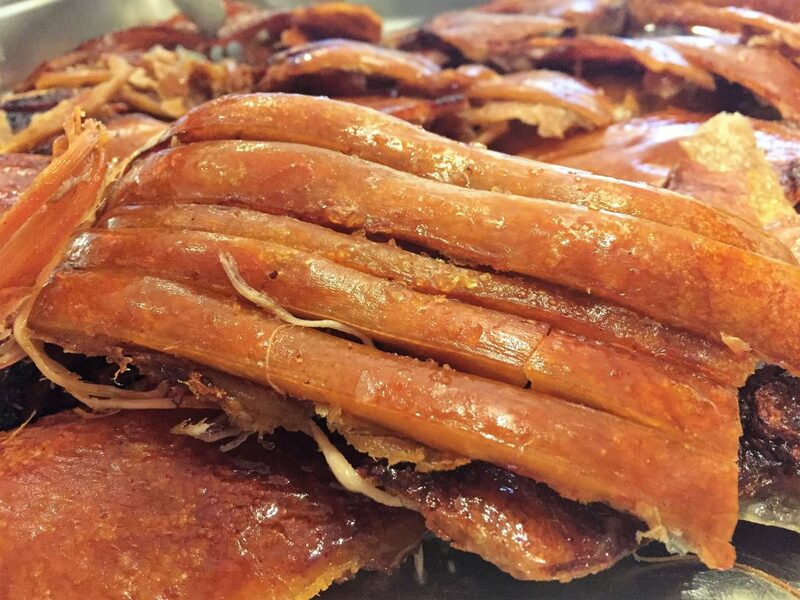 We cater for lots of events in Ilkley where our delicious hog roasts combined with tasty canapes for informal events are always very well received. Based just over the moors we supply local produce including pigs from Harrogate and bread from the master bakers in Guiseley. 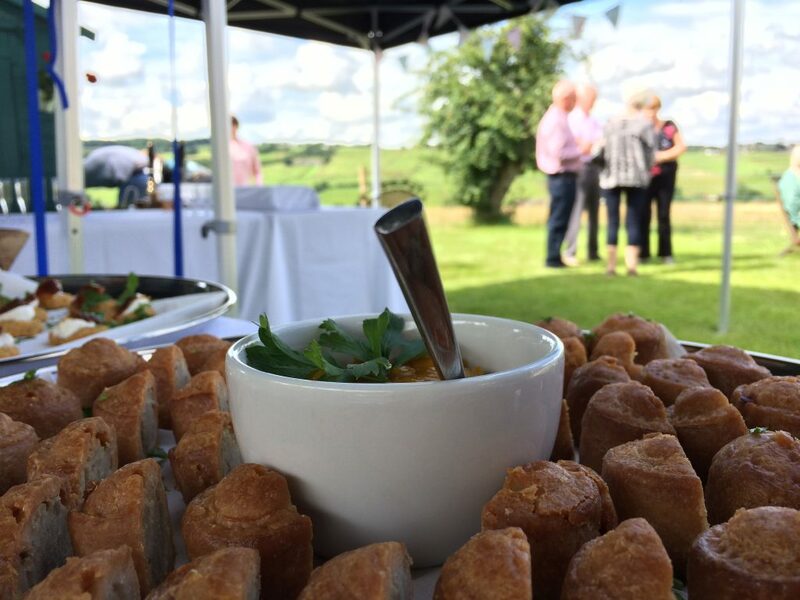 The canapes work really well with a hog roast as they can be enjoyed whilst still enjoying a drink which is of course very important. 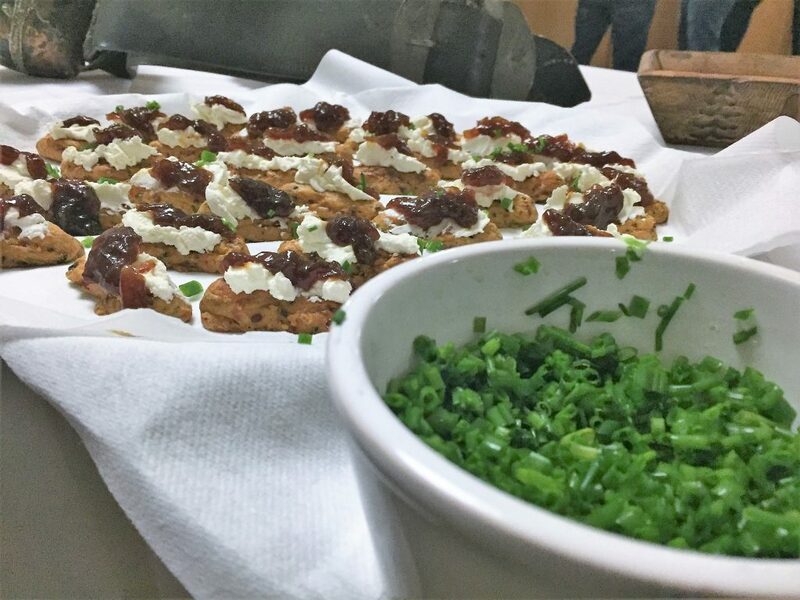 Above are some baby bruchetta with cream cheese, caramelized onions and chives. 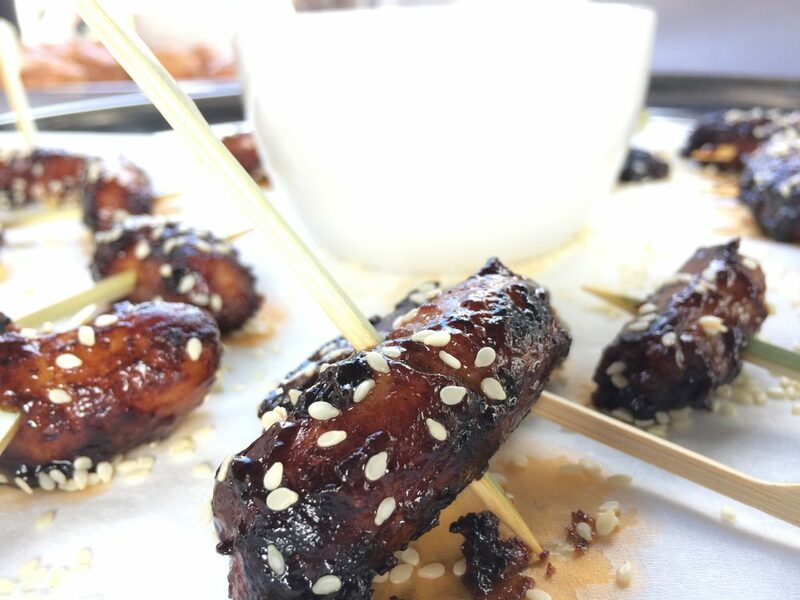 Our chipolatas in hoisin with sesame seeds are another winner when it comes to complimenting the hog roast in Ilkley before we got onto the tasty hog roast sandwiches with crispy fresh crackling from the locally sourced pig. 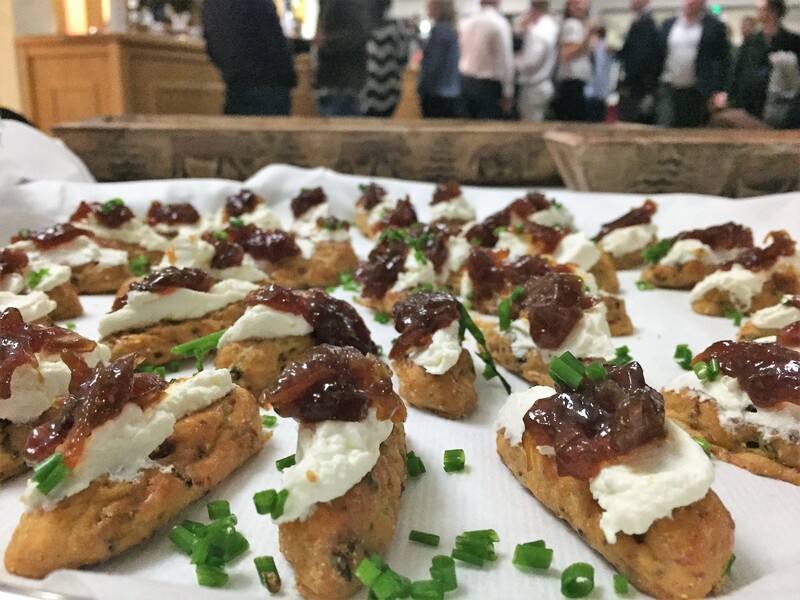 If you are interested in an event in Ilkley, the Yorkshire Dales, West Yorkshire or the surrounding areas then please do not hesitate to contact us by email or telephone so you and your guests can enjoy our tasty locally sourced produce. 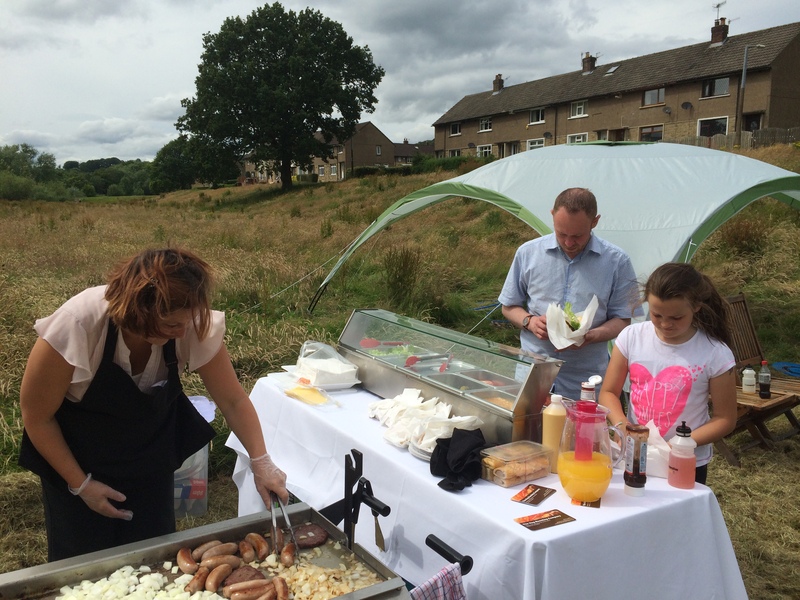 The August weather has been unpredictable at best but the sun shone for for the hog roast party in East Morton in between Eldwick and Keighley in West Yorkshire where we provided outside catering. 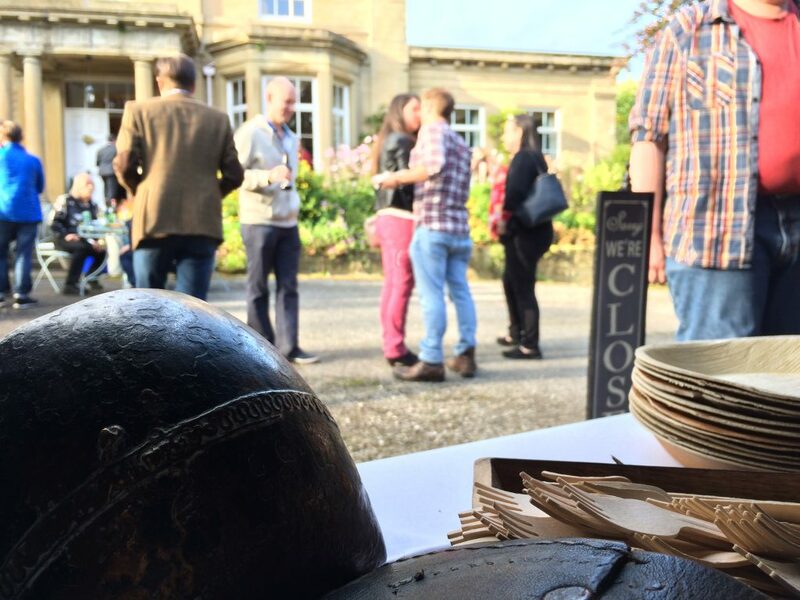 Always a talking point at our hog roasts are the palm leaf plates and bamboo cutlery which are a great option and our antique cowbell looks great and comes in handy if we need to announce the start and finish of serving the hog roast in West Yorkshire. 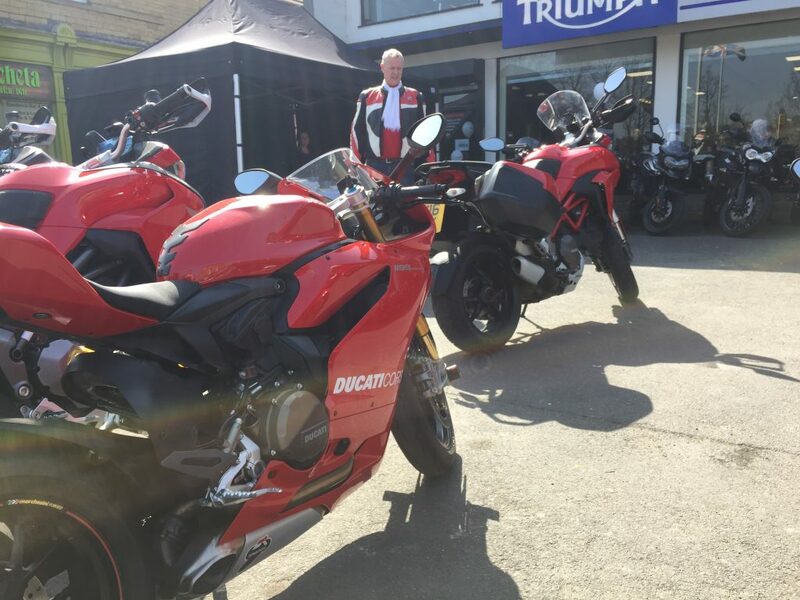 “Just to say again a big Thank You for the hog roast on Saturday, it went down so well and everyone was very complimentary. I’d put your cards on the table and by the end of the evening they’d all gone, so hopefully you may get some more bookings from that. 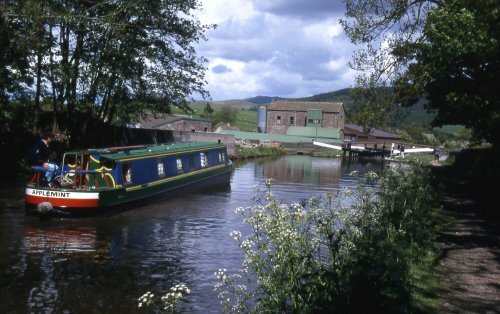 Many thanks again, and if we do another hog roast we’ll know exactly where to come”. 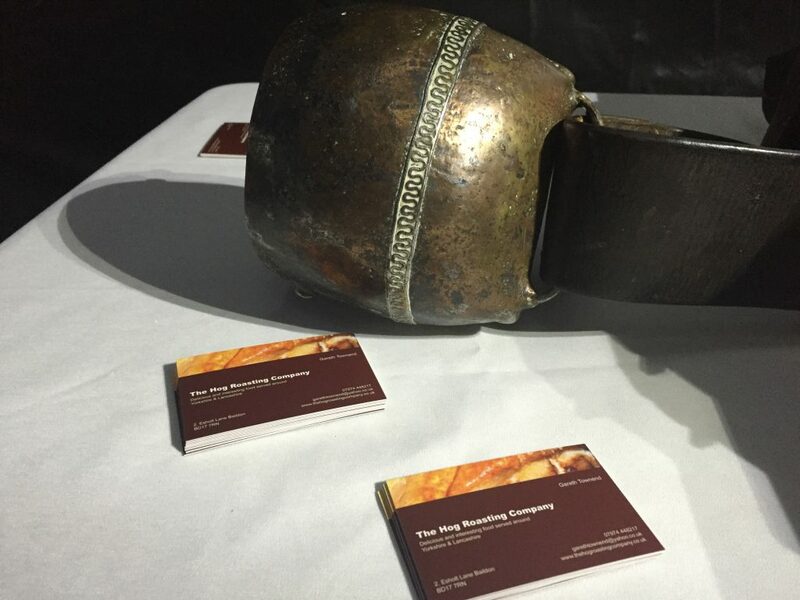 If you are interested in having an event then please do not hesitate to contact The Hog Roasting Company based in Baildon by calling 01274 396979 , emailing info@thehogroastingcompany.co.uk or filling in our contact form. As well as tasty hog roasts the hog roasting company also provide an outside catering BBQ service, in this case a budget project for a local community event in Saltaire near Bradford, providing a section of marinated chicken with sausages and burger using our chilled salad bar with a diverse selection of tasty sauces. The weather held out nicely and the BBQ event was a real success bringing residents out to discuss local matters in a comfortable environment. The chilled salad bar is always well received so the guests can personalize their meal. 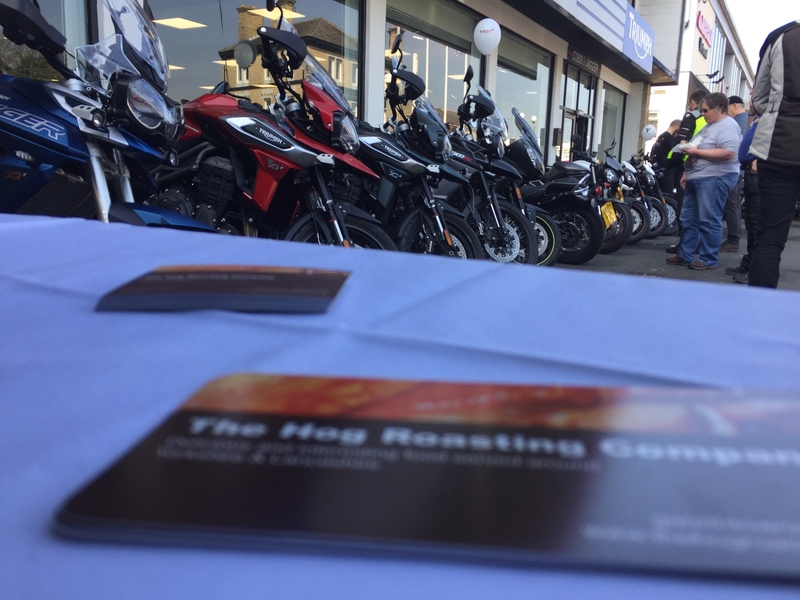 If you are interested in having an event then please do not hesitate to contact The Hog Roasting Company based in Baildon by calling 01274 396979, emailing info@thehogroastingcompany.co.uk or filling in our contact form. 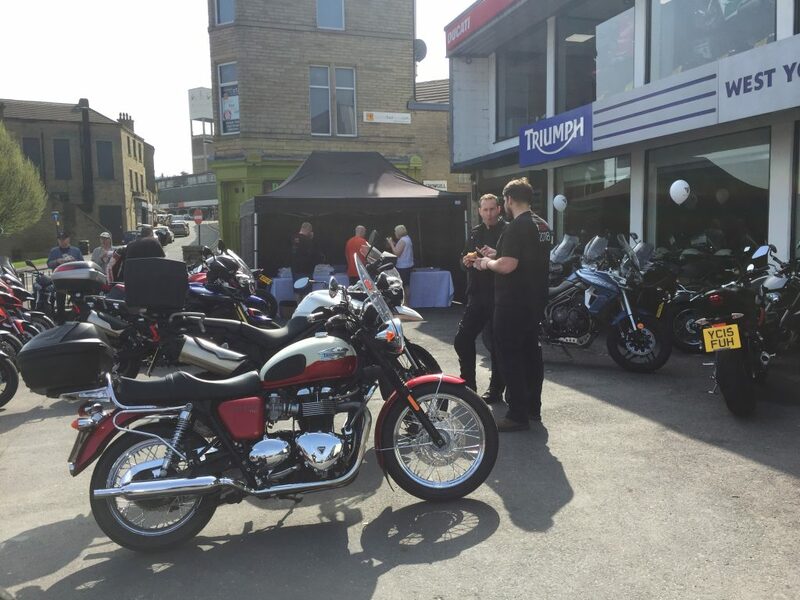 The weather man couldn’t make his mind up this weekend with the forecast looking everywhere between terrible and perfect for our outside catering & hog roast event in Haworth, near Keighley West Yorkshire. 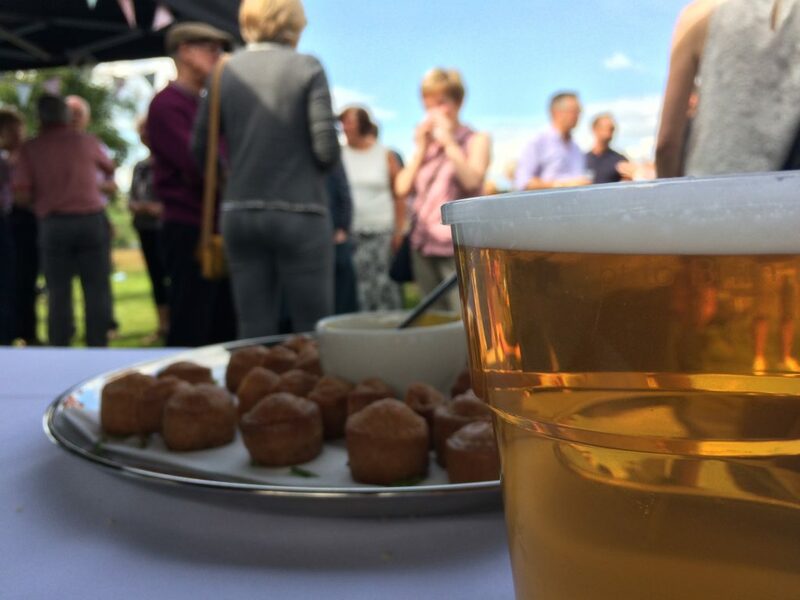 It turned out to be a lovely event where as well as providing a delicious hog roast we served tasty canapes, Chicken & Chorizo Paella, ran the bar and brought entertainment. 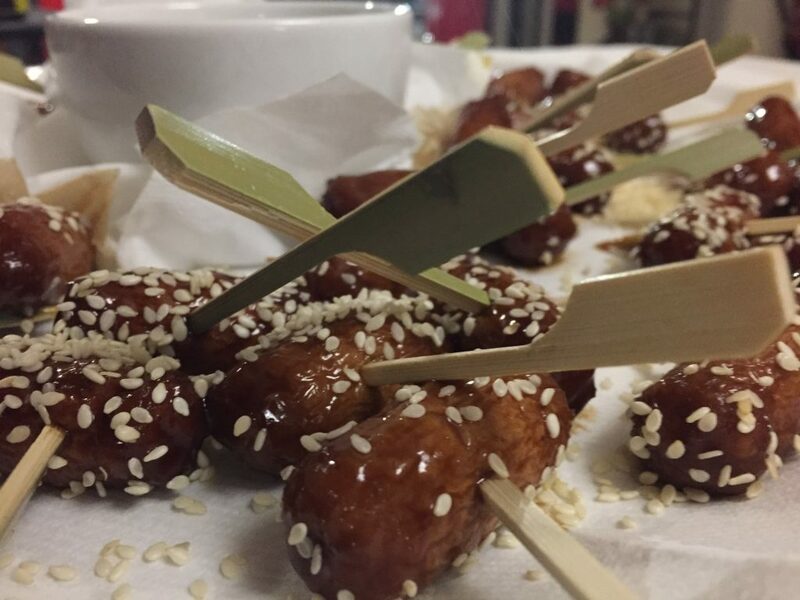 The delicious canapes chipolatas in hoisin and sesame seeds served on bamboo skewers couldn’t be made fast enough for the guests as they were so well received. Some delicious miniature pork pies were great for to help put the guests on until the great crackling from the hog roast was ready, as always it was lovely from our slow cooked free range locally sourced pigs. 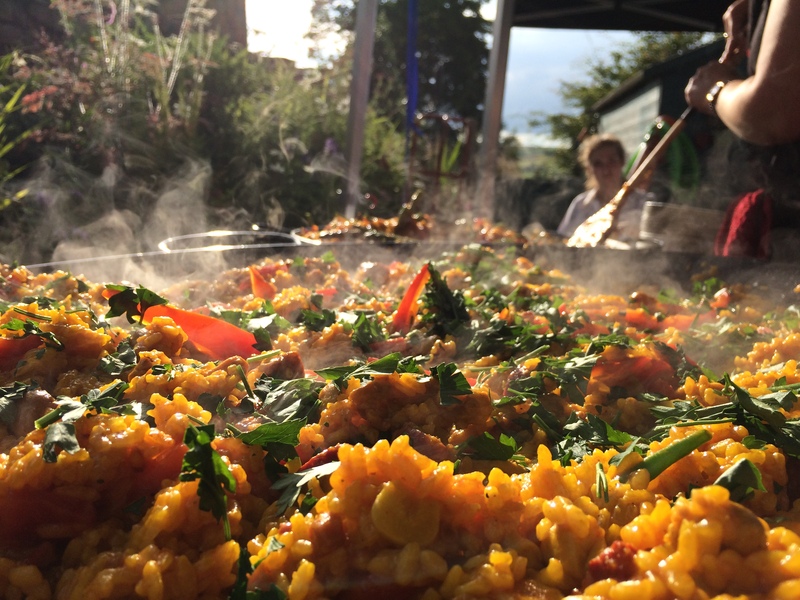 A Vegan paella was cooked at the event which just went down amazing as a summer dish, along with a chicken and chorizo paella. 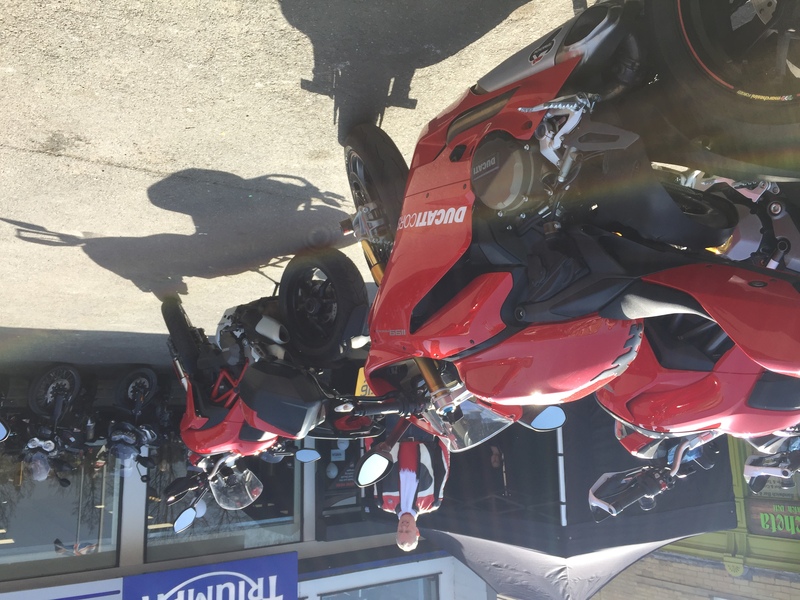 They just looked delicious in the Yorkshire sunshine. 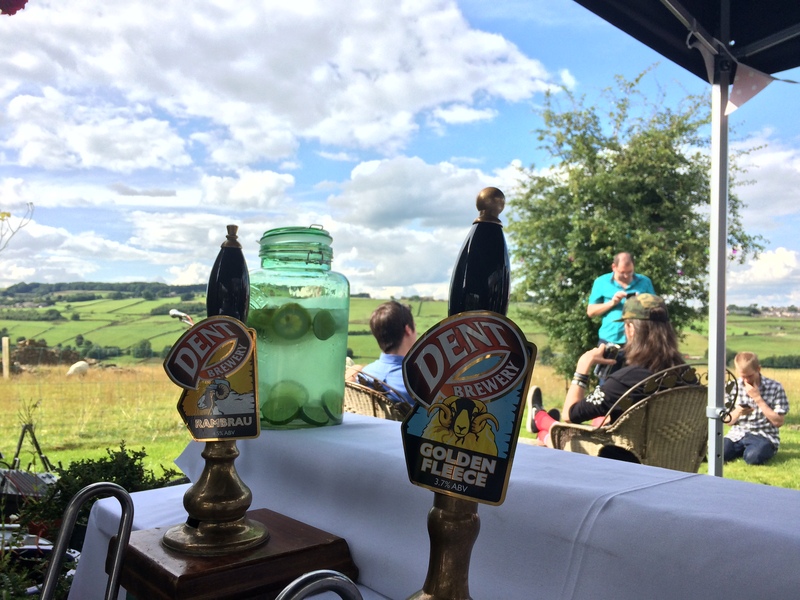 We provided great beer for the event from Dent brewery to wash down all the delicious food. It was not a beer many of the guests had drank before but they loved it, such a smooth tasty beer from an amazing part of Yorkshire. A pint and some quality pork pies, a match made in heaven! And to top it all off some great entertainment from our male guitarist and singer. 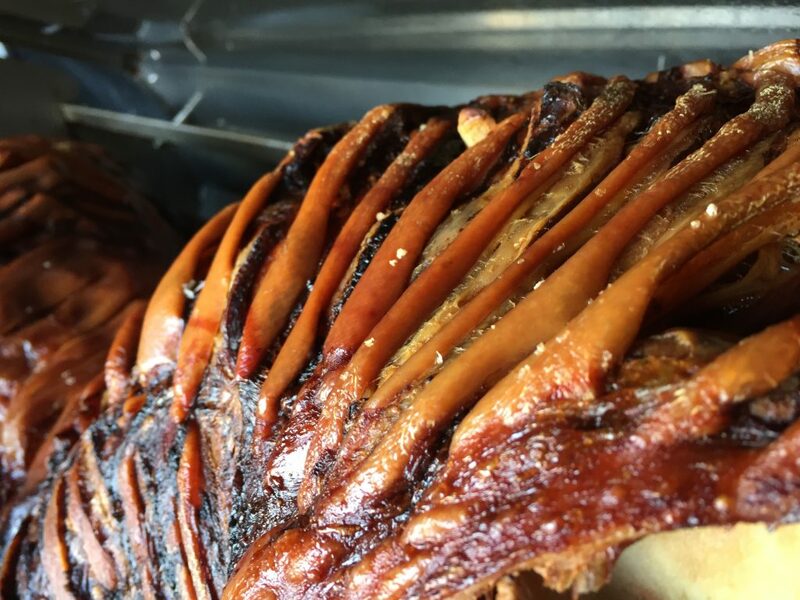 This weekend The Hog Roasting Company was at Gargrave near Skipton in the Yorkshire Dales where we provided outside catering in the form of a delicious free range hog roast for the close of the annual open gardens event and a fantastic birthday party. We set up in a secret garden which was down a string of little nooks and crannies so unfortunately we could not get our hog roasting machine to the event. 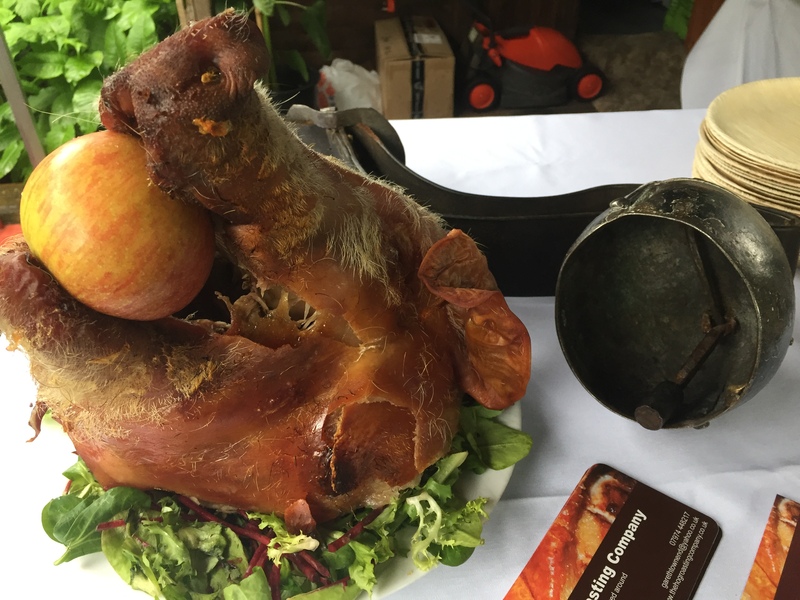 Luckily we arranged a site visit first so planned on cooking and carving the pig at our facility then taking the delicious meat to the event along with the pigs head which was displayed in the serving area and was really well received as a spectacle and talking point. The sandwiches were served on palm leaf plates and bamboo cutlery was available for the sides & salads. 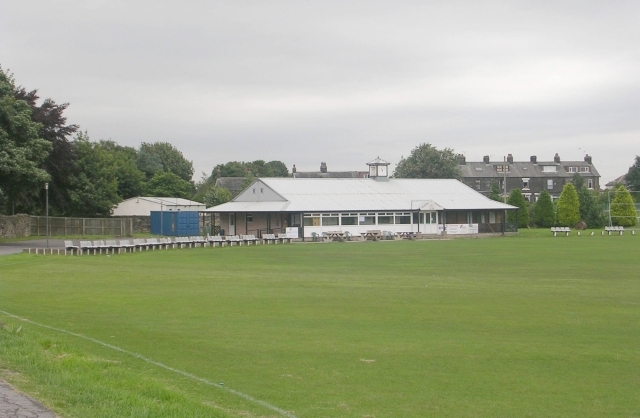 Outside catering and hog roast parties are in full swing and we catered for a birthday and retirement party at a cricket club in Yeadon which is near Leeds in West Yorkshire. 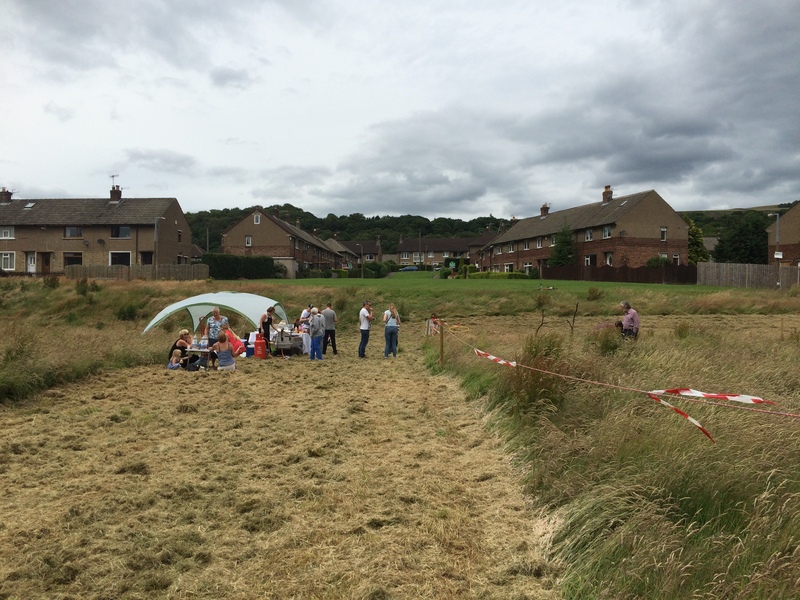 It was a great little venue with loads of space for the kids to play outside on the pitch. 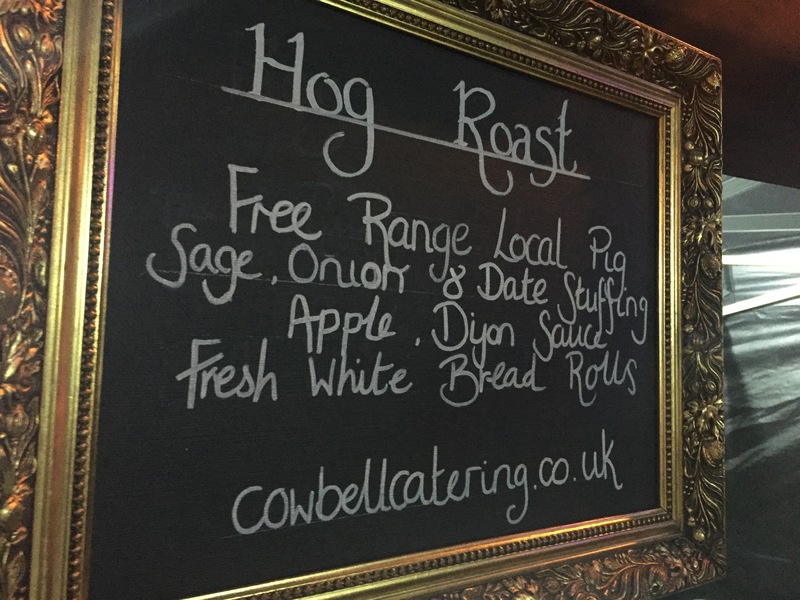 The feedback on the quality of our free range hog roast and service was great so we are grateful to everyone there for all the kind comments. Below a lapse video from the event in Yeadon where The Hog Roasting Company provided a tasty free range hog roast as outside catering for the private party which we thought was quite fun. 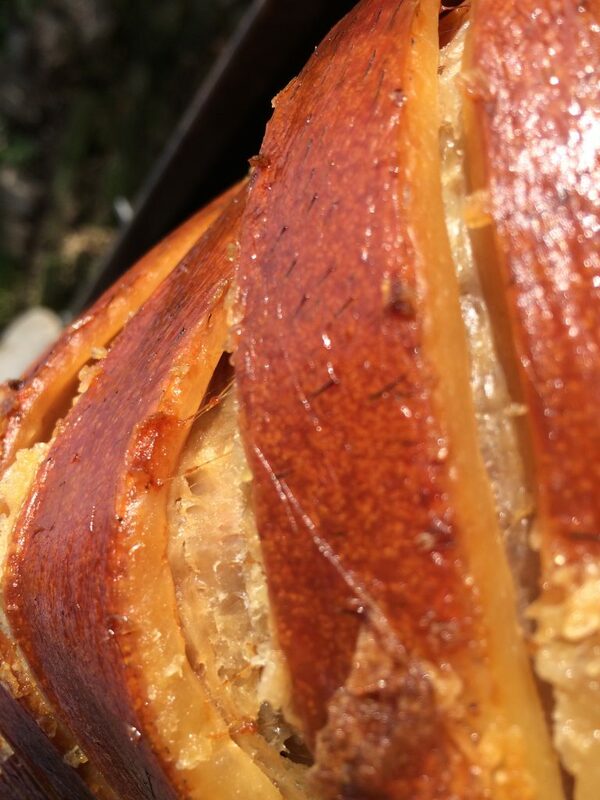 If you are interested in providing outside catering for you event in and around, Yeadon, Leeds, West Yorkshire, Airedale and Wharfedale then please do not hesitate to contact The Hog Roasting Company. 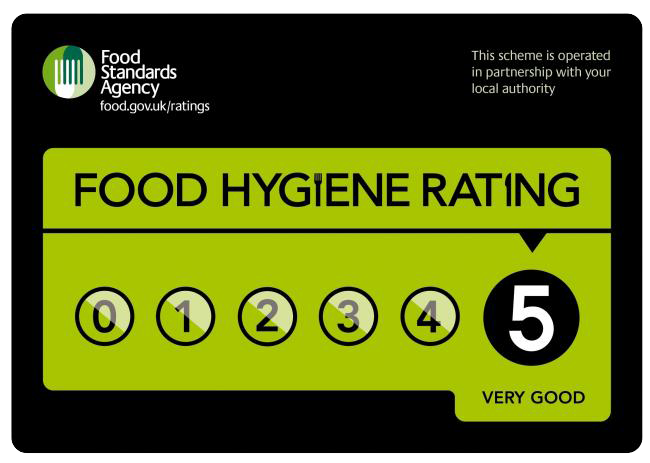 Following our commitment to quality in not just our delicious food and service level but processes and practices we have today received 5 stars from the Food Standards Agency. 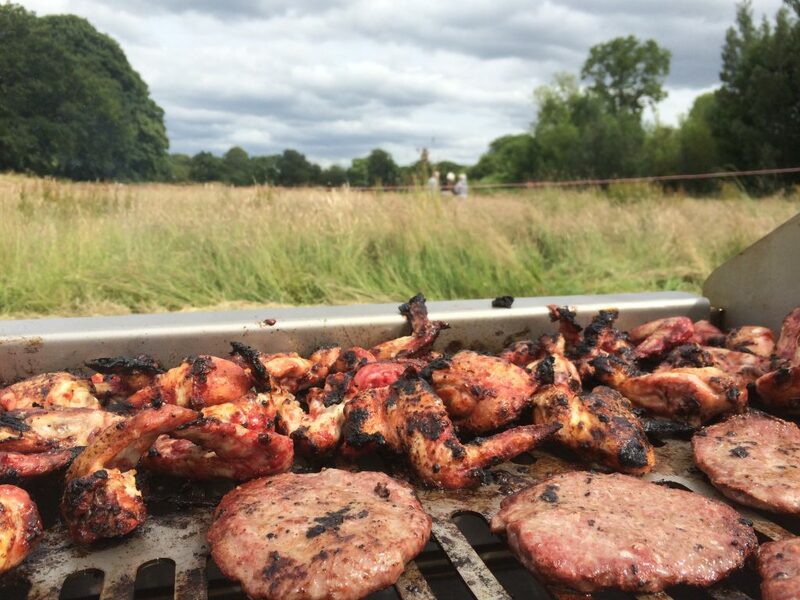 Ensuring that you can be confident when choosing The Hog Roasting Company for your party or event that we adhere to the highest possible food hygiene standards. 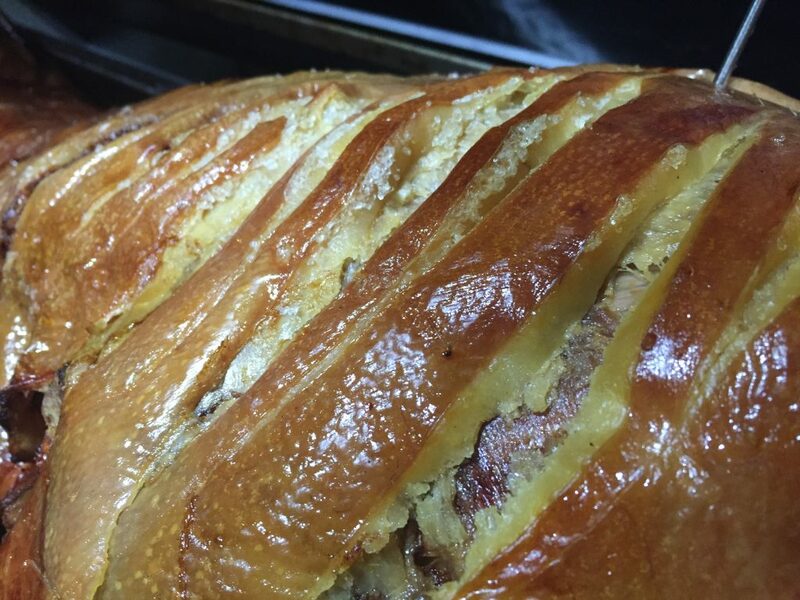 The Hog Roasting Company are based in Baildon near Bradford in West Yorkshire, they cover the surrounding area also offering outside catering in Ilkley, Skipton and the Yorkshire Dales. 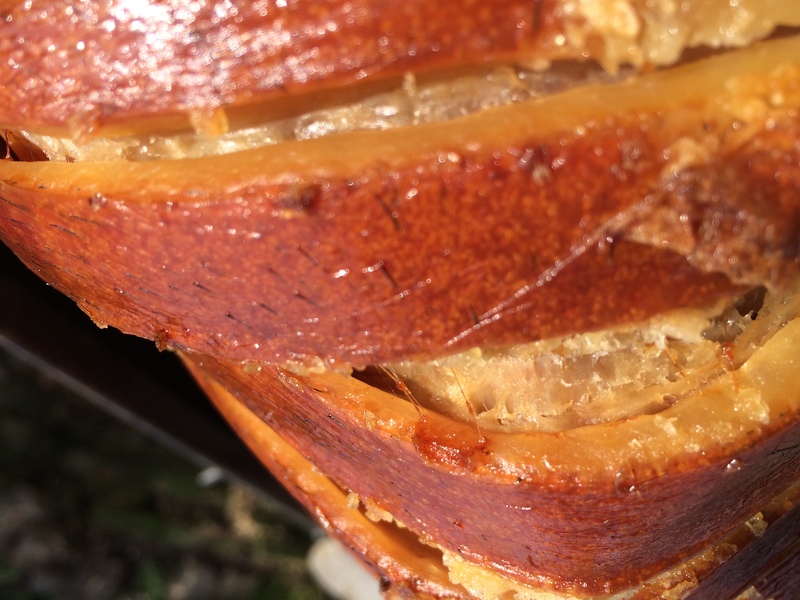 We had the pleasure in providing outside catering as a hog roast in Bradford, West Yorkshire this weekend where we cooked a tasty free range pig served with delicious apricot stuffing made with juice from the pig and bramley apple sauce with a hint of dijon mustard. 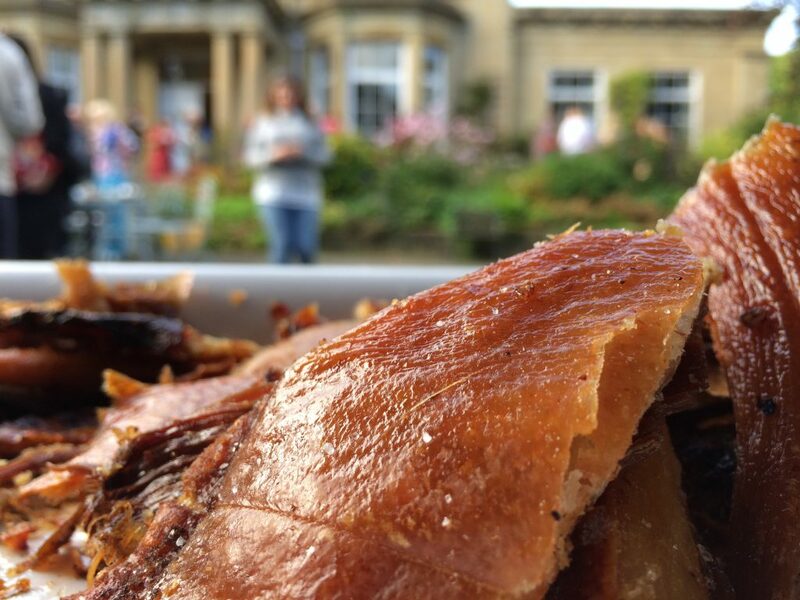 The crackling was just delicious from the slow cooked hog roast in Bradford and there was plenty for the 100 guests at the Birthday party. Our trusty antique Swiss cowbell is always on hand to call the start of service and last orders and our recycled antique picture frames with menus add some further style and thought to the presentation. Hog Roast & Veggie Buns Catering Leeds Student Accommodation! 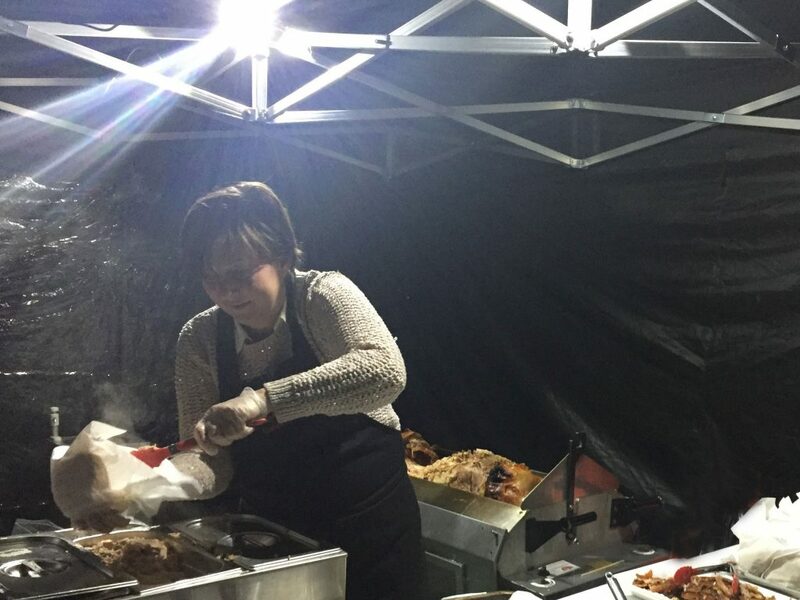 We wrapped up for a chilly evening of hog roast and veggie buns where we provided outside catering (literally) at the university halls of residence bar in Leeds which is in a great spot on the side of the canal. There were 2 free range pigs cooked which provided 300 hog roast sandwiches along with a tasty Veggie option of 30 roasted haloumi & roasted vegetables served in a fresh white bun from the local master bakers with houmus and salad.